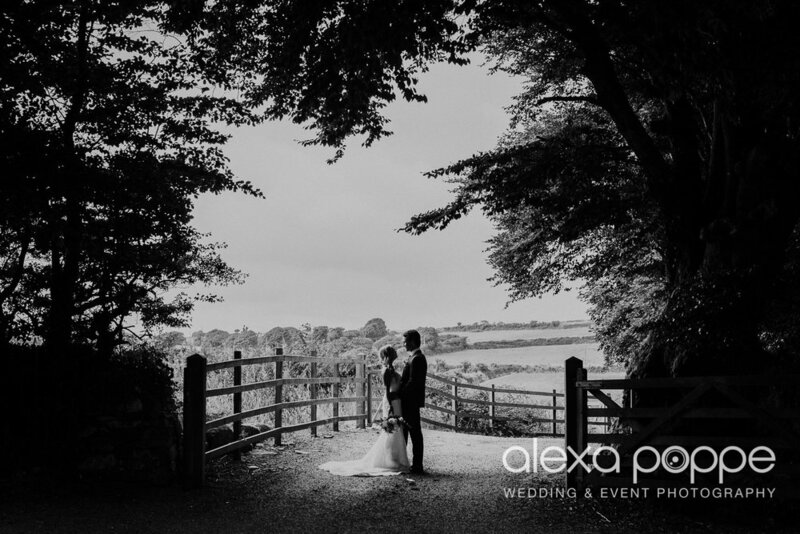 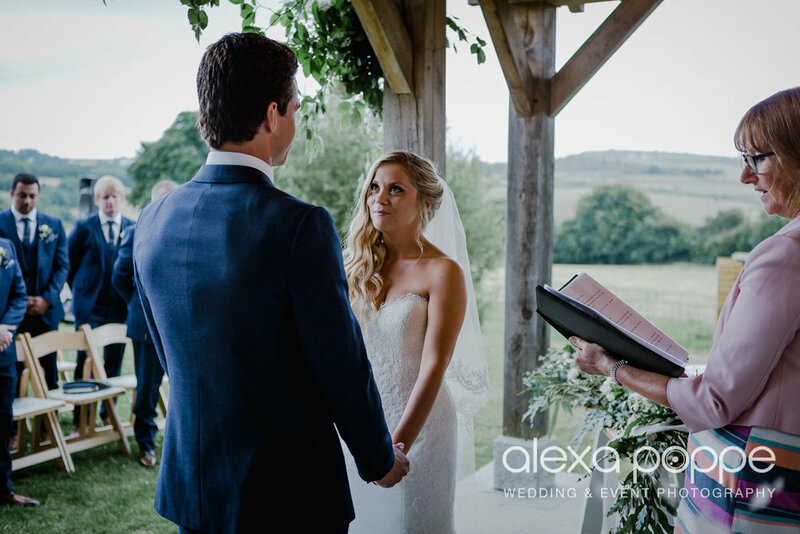 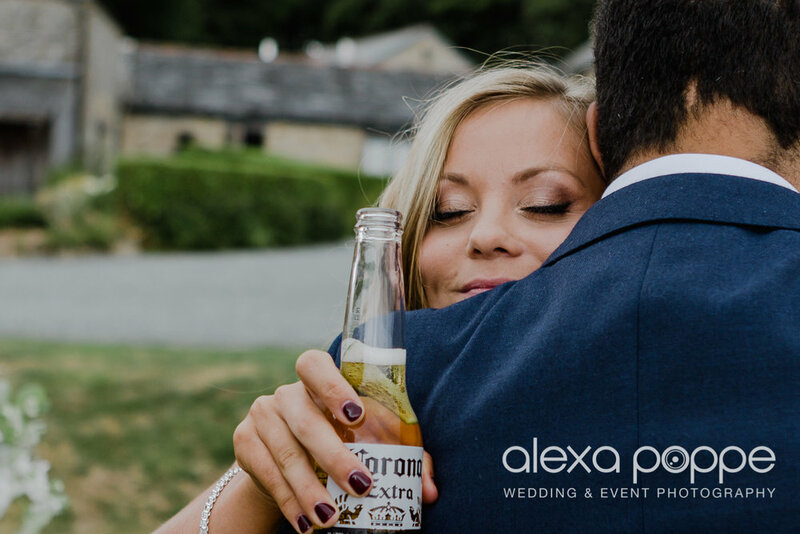 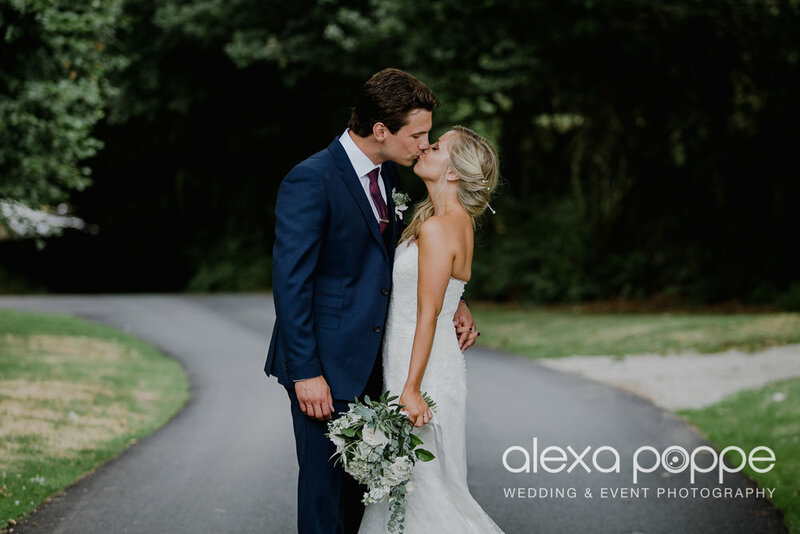 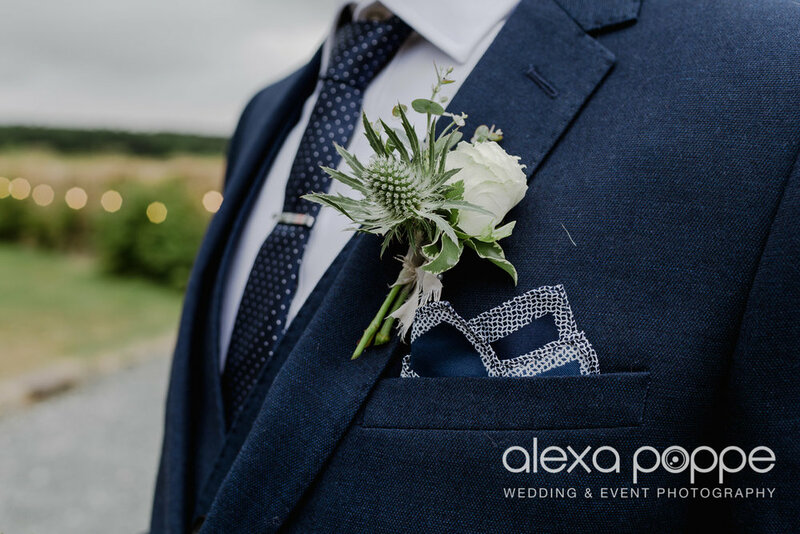 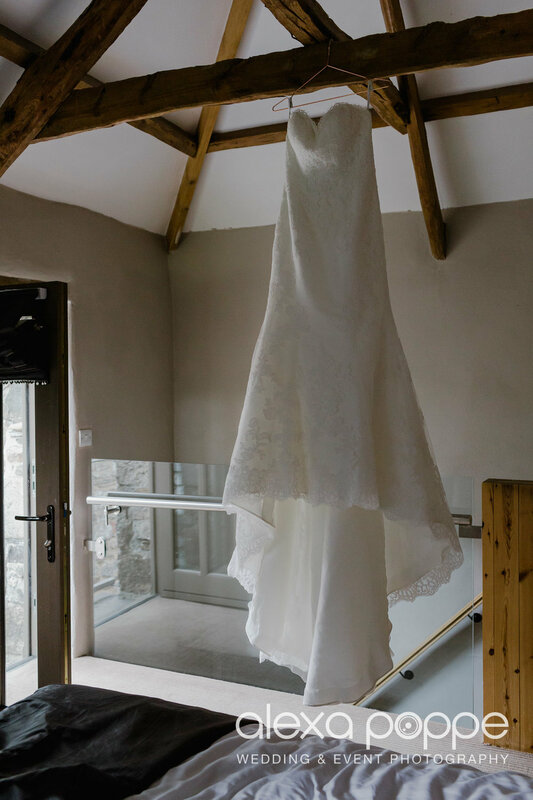 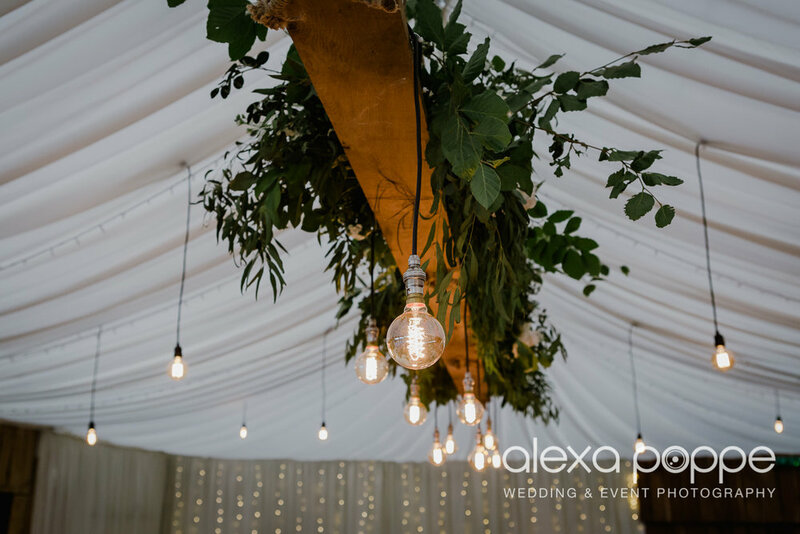 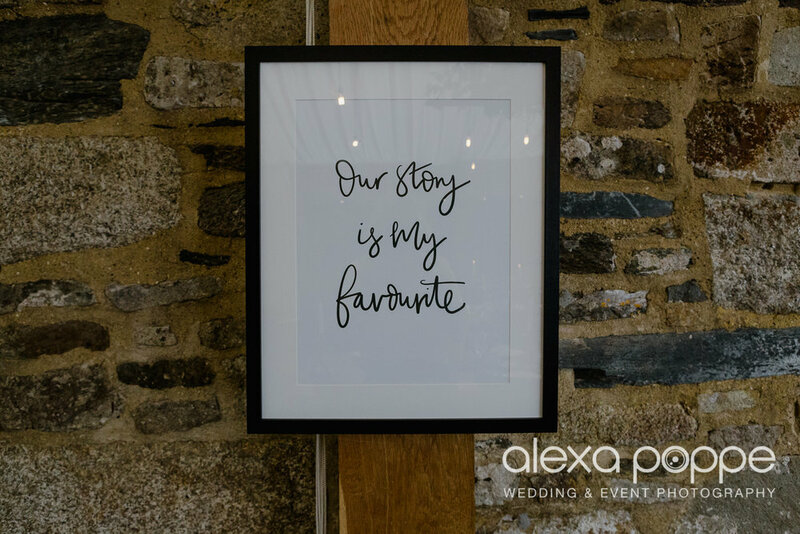 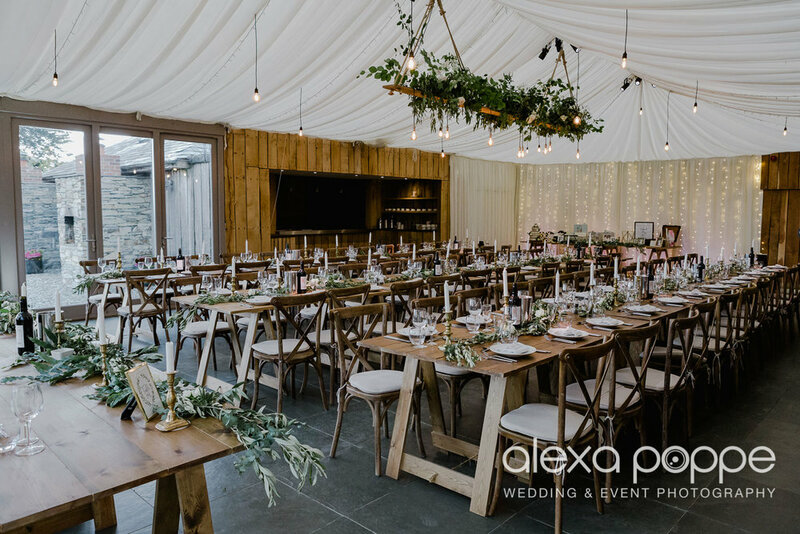 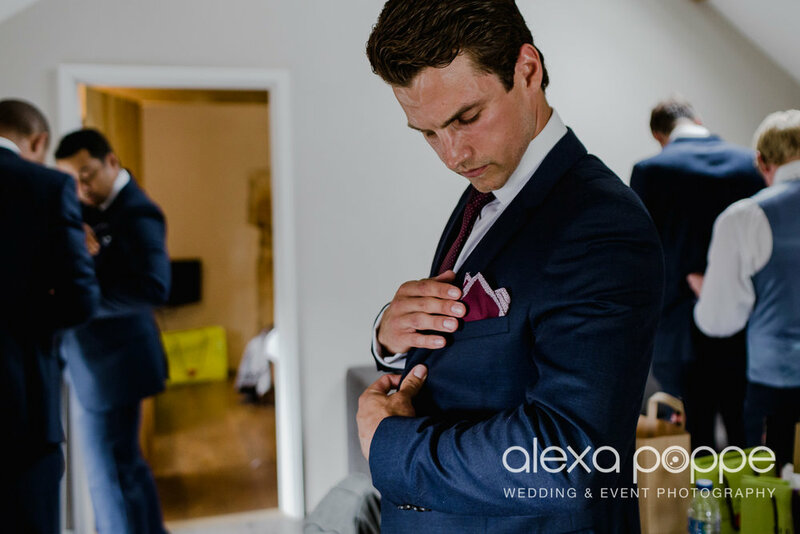 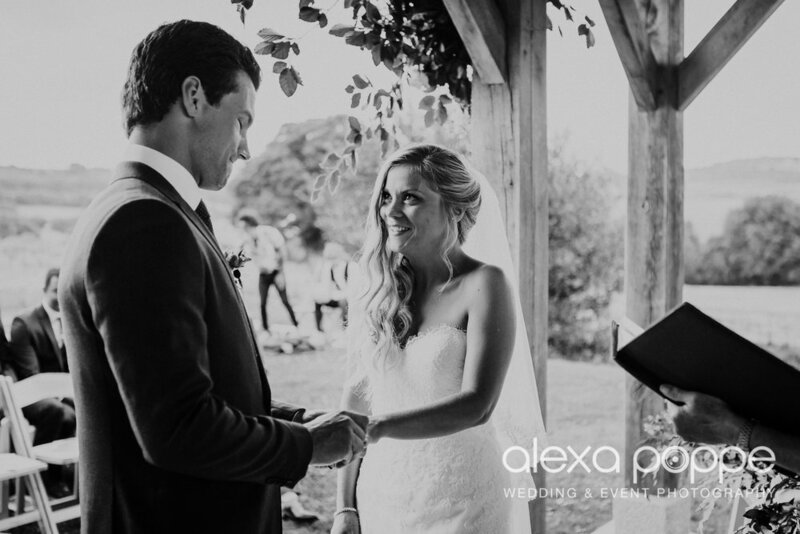 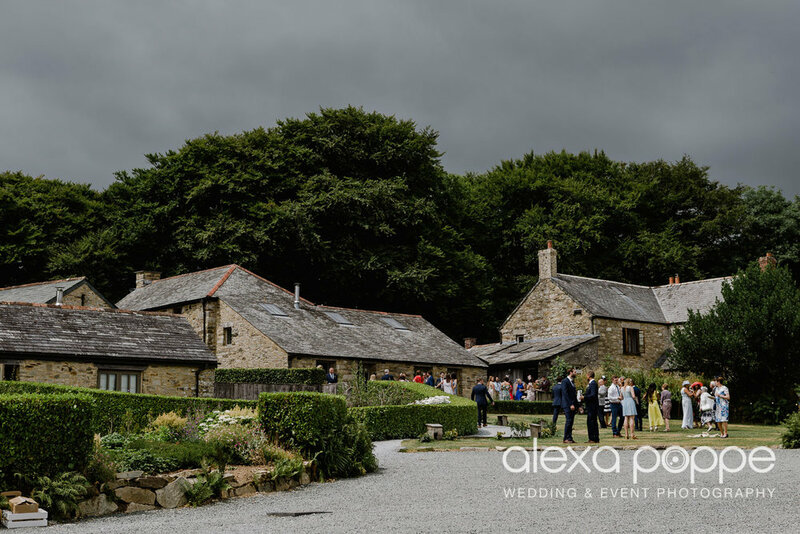 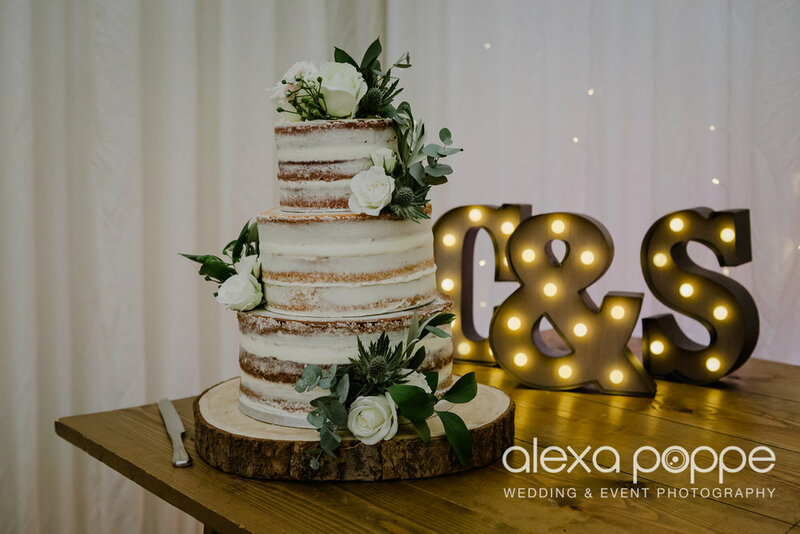 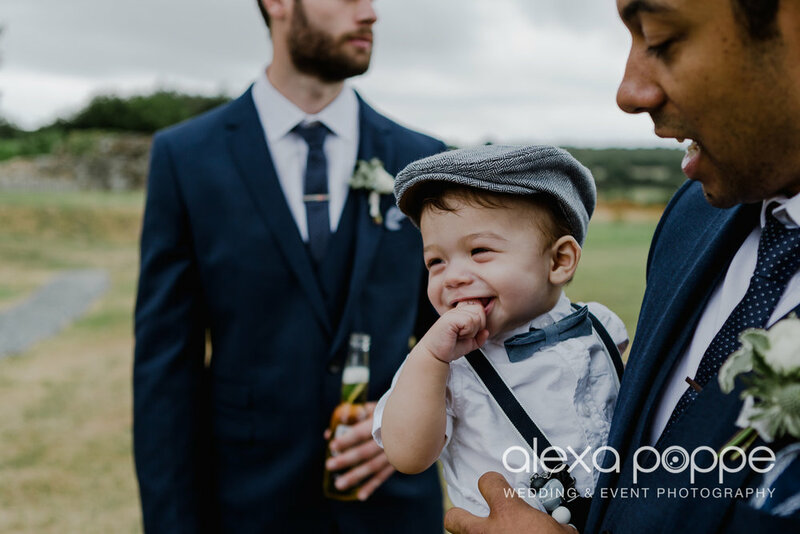 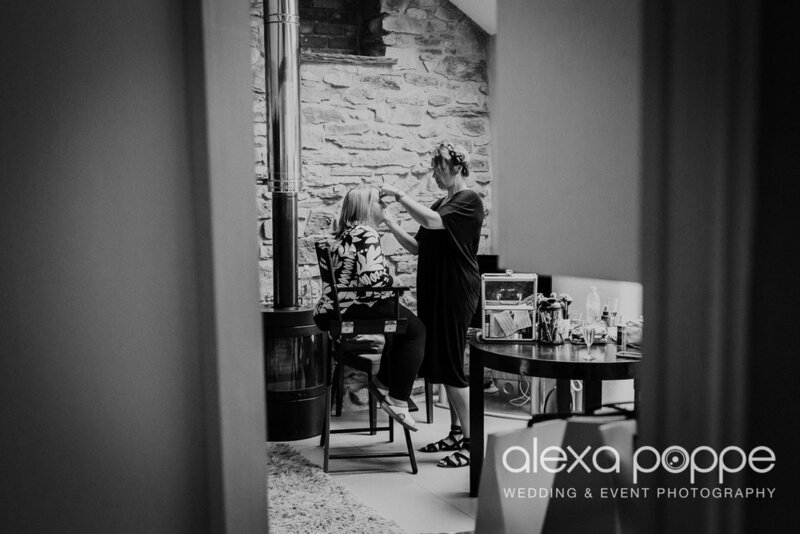 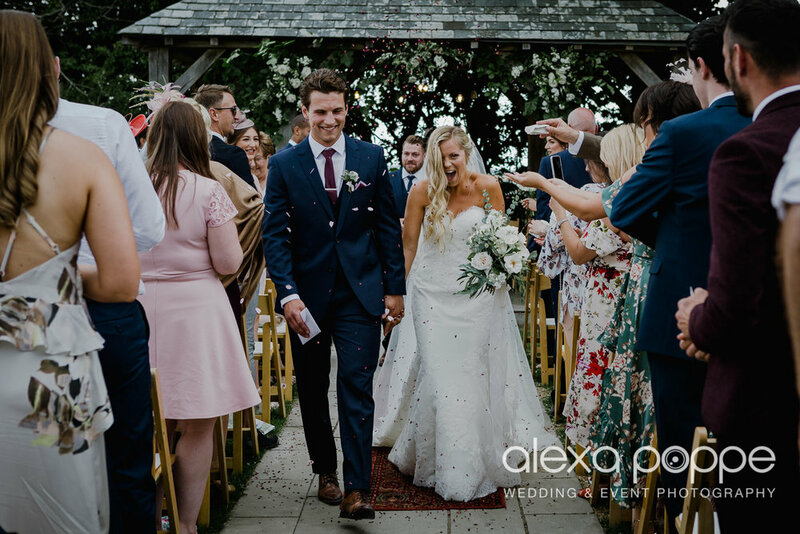 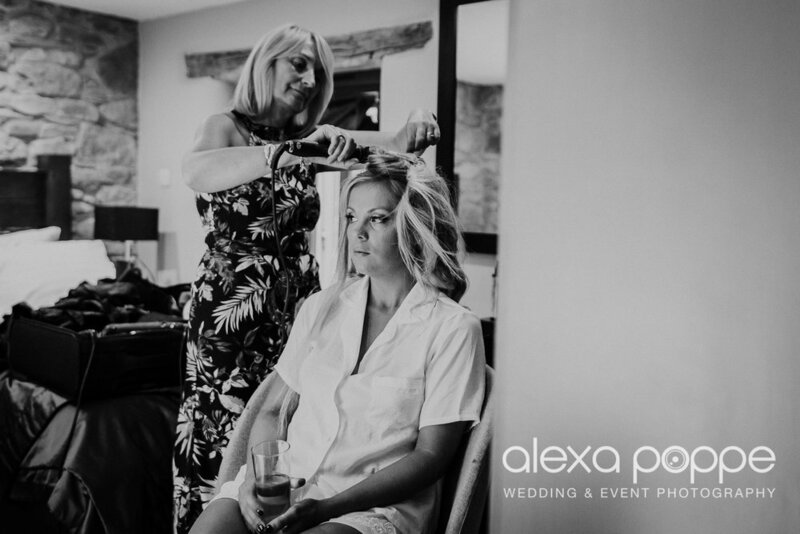 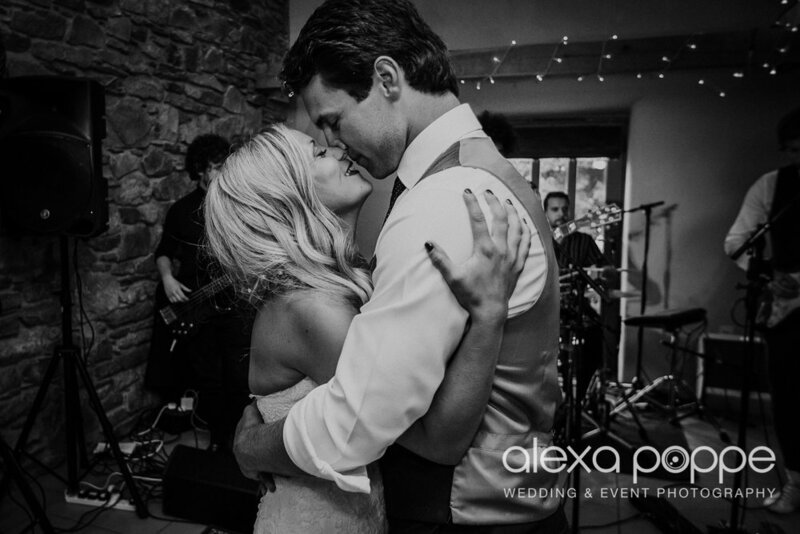 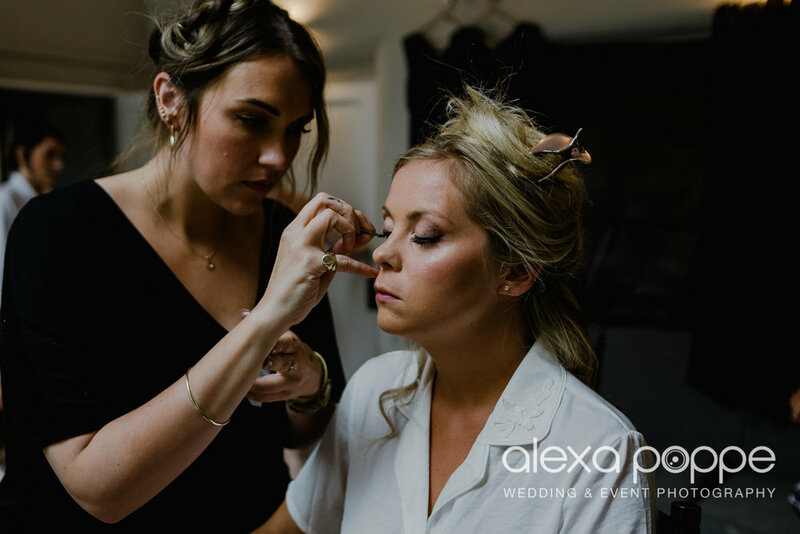 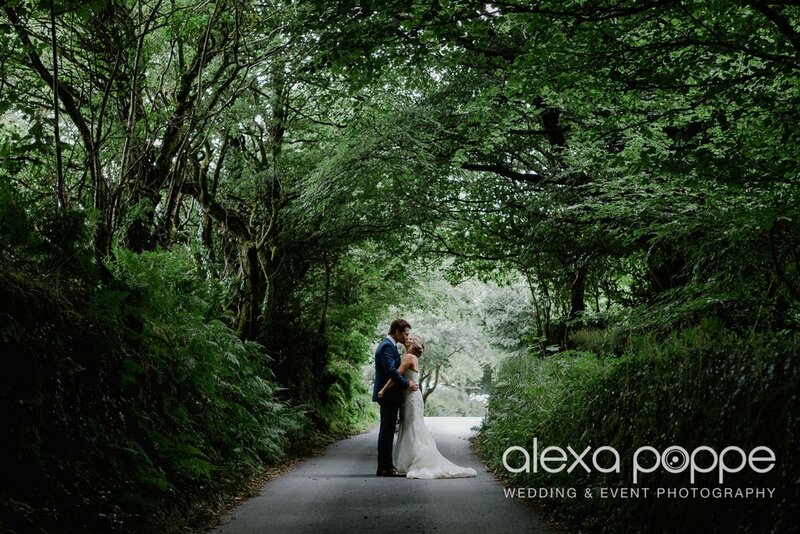 Claire and Steve wanted to keep things relaxed and simple for their wedding on the 10th of July 2018, so they chose the beautiful Trevenna Barns in Cornwall where they could do everything their way and make sure everything was fuss free. 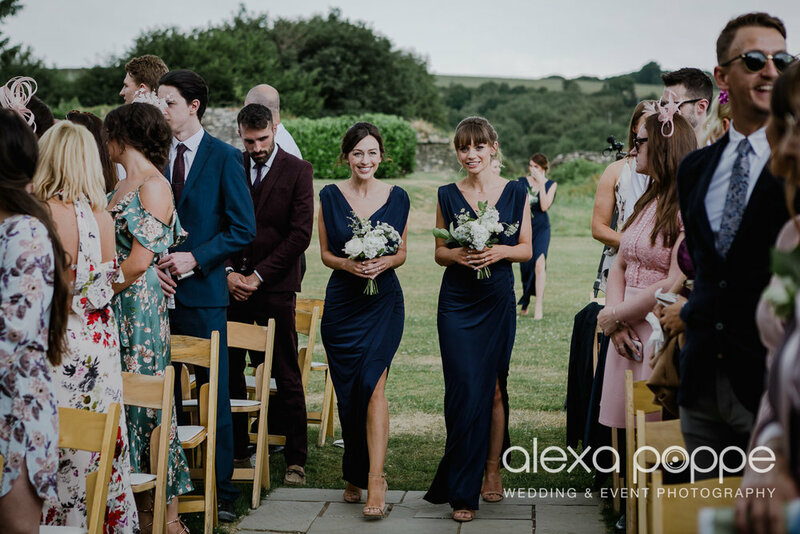 I'm not going to talk about the blue skies and summery vibes again, we all know by now it's one of the best summers in ages here in the UK! 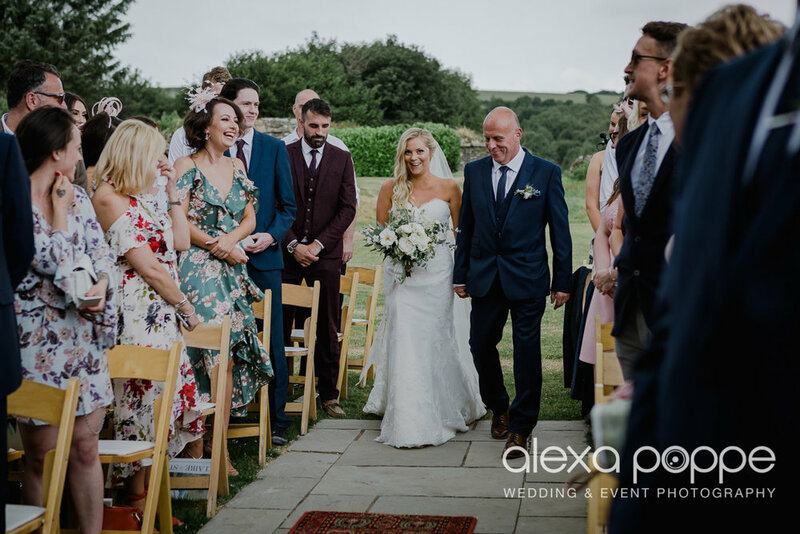 When I first met Claire last year, she said she is really sad that she can't take her two beloved labradors to the wedding and decided to put them in kennels although the venue is dog friendly. 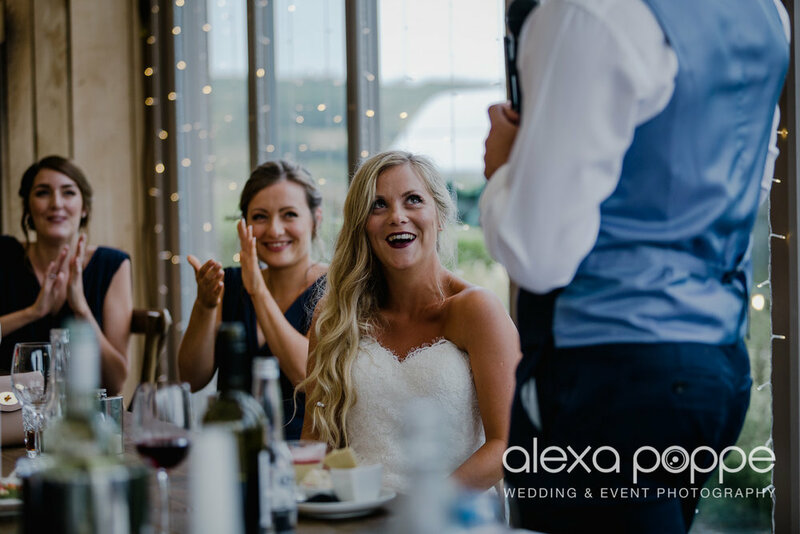 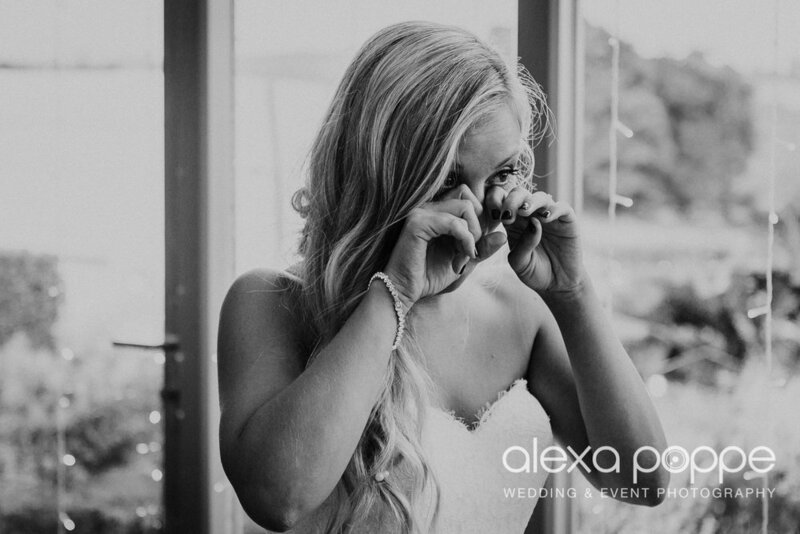 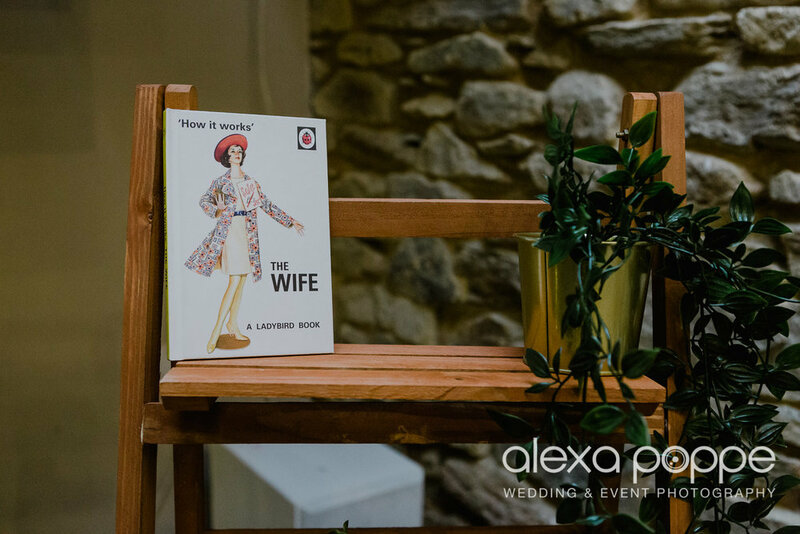 She thought it might be too much hassle on the wedding day..I thought it's a shame as the venue is located in the middle of Bodmin Moor with endless beautiful dog walk possibilities and the South Cornwall beaches aren't far away either. 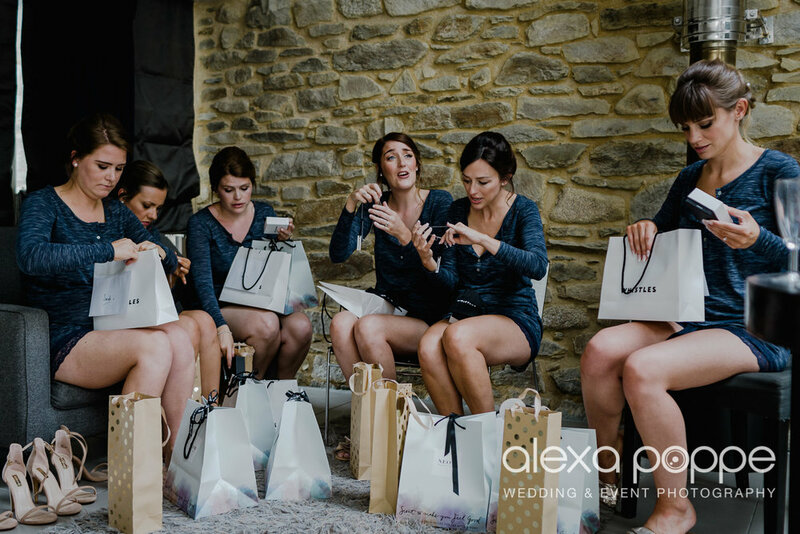 Well, Steve thought the same and organised a great surprise for Claire after the speeches: He had the dogs delivered by a dog courier from 6 hours away! 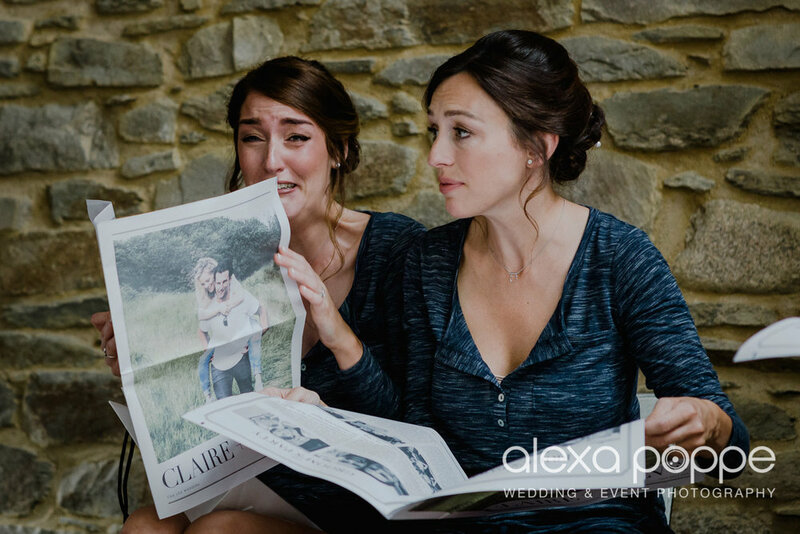 Claire burst in tears of joys when she was reunited with their two pooches. 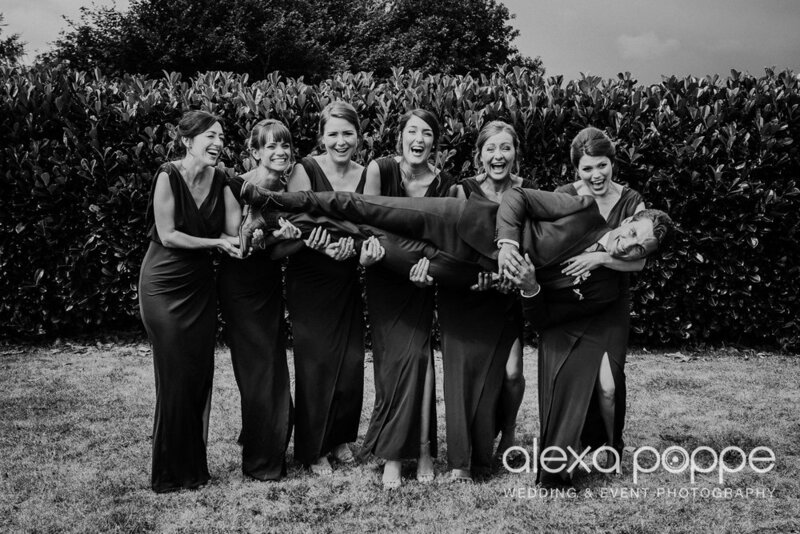 He really managed to keep that a secret! 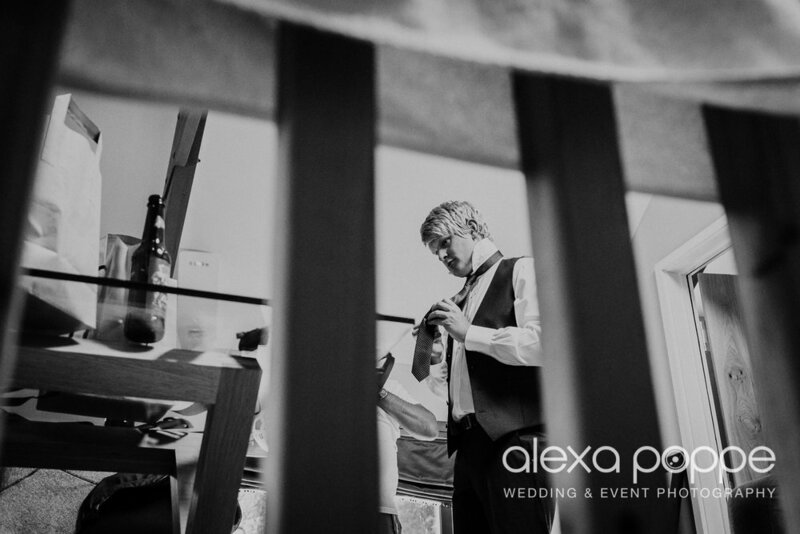 Here is a little taster, I hope you like it..